It's really interesting to see the Sony HT-CT800 sound bar up close. It's really interesting to see the Sony HT-CT800 sound bar up close. I had an idea of what it looked like from some pictures, but didn't totally grasp the design until I saw it set up in the Crutchfield Labs. The 'CT800 bar seemed to lie flat under a Sony 4K TV, while an X-Men movie played. Looking at it closer, I noticed that the bar actually sat tilted slightly upward so that its full-range drivers were pointed up and toward me. You can also flip the bar over and wall-mount it, using included hardware. Chromecast built-in lets you play and control music wirelessly from your phone. While the bar is super-thin, it added a great deal of depth to a standoff scene in a crowded kitchen. It felt appropriately claustrophobic, with shouts seeming to echo off of stainless steel appliances on the screen and around me. The kitchen's sprinkler system was tripped, and I heard water splattering with chaotic precision. Then the noises gave way to a musical interlude of Jim Croce's "Time in a Bottle," which the soundtrack out of the confines of the scene's location and spread it out around me. I'm sure the HT-CT800's directional drivers and built-in DSP processing helped the low-profile bar deliver such impressive sound. But it also got help from the wireless sub we had hidden under a table, next to a wall outlet. The sub provides deep, solid bass, freeing up the stereo bar to cover the rest, including easy-to-understand dialogue. Many of us use a sound bar for music as naturally as we use one for TV sound. Sony included Chromecast built-in so you can wirelessly stream music to it from your favorite apps, including Spotify® and Pandora®. I explored this feature in a recent article, and I really love having all that music (and power) at my fingertips. Another cool perk: you can control your tunes by voice using the Google Assistant on your phone — or on a separate Google Home device. You can hook up several components to the sound bar thanks to three HDMI inputs and one output. All of them are HDCP 2.2 compatible for connecting 4K video sources. There's also an optical digital audio and a 3.5mm minijack input. Built-in Bluetooth gives you another way to play music wirelessly from your phone – but it also serves another purpose. 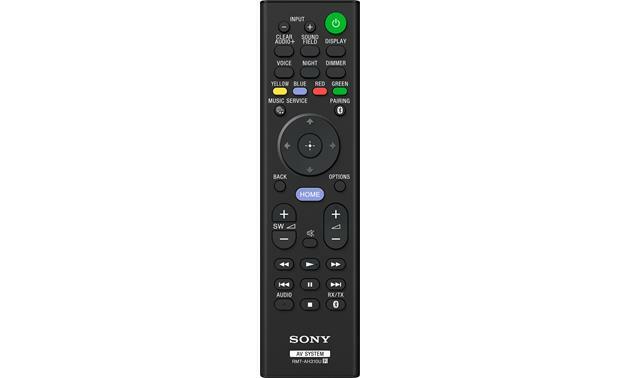 As a Bluetooth transmitter, the Sony HT-CT800 can send sound from your movies or shows to a pair of Bluetooth headphones. This helps with late night binge-watching. You can catch all the dialogue and sound effects without waking everyone up. The HT-CT800 is also compatible with Roon, a subscription digital music player you download to your smartphone, tablet, or computer. It gives you multi-room audio playback for all your Chromecast-compatible devices and more. Roon accesses your digital music collection from your iTunes library or NAS drive. It also works with your TIDAL subscription. Roon lets you do deep dives into your music, showing artist bios, photos, reviews, and lyrics. Roon can also suggest other artists and songs based on your selections, making it easy to discover new music you'll enjoy. OMG!!! Truly amazing I return the Bose 500 bar for this was a little apprehensive because it's a 2.1 channel, a music lover especially rainy jazz. Active Soundbar Speaker: The Sony HT-CT800's active soundbar speaker features two full-range 2.375" cone drivers in an acoustic suspension (sealed) enclosure, powered by a 35W RMS (110W Peak) x 2Ch S-Master digital amplifier for excellent high & midrange frequency reproduction. Wireless Powered Sub: The Sony HT-CT800 wireless powered sub is equipped with a front-firing 6.375" cone woofer in a bass-reflex enclosure with a front-firing port, powered by a built-in 65W RMS (130W Peak) S-Master digital amplifier. The wireless powered subwoofer gets its low-pass audio signal from the system's soundbar wirelessly up to 32.8', via 5.8GHZ RF wireless transmission. You can adjust the volume of the powered sub independently from the system's overall volume level. Sony Technologies: The HT-CT800 incorporates multiple Sony technologies to give you clear virtual surround sound without distortion. S-Master Digital Amplifier: Enjoy the best of digital audio with the S-Master digital amplifier. 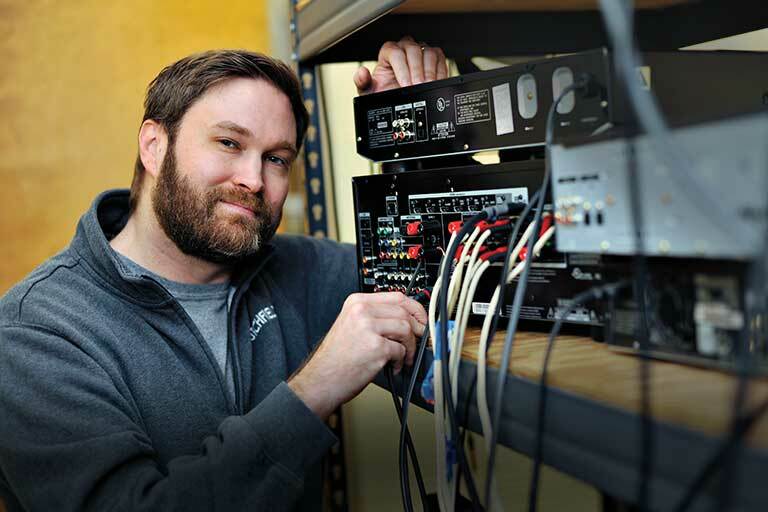 Using a simplified, full digital signal path, the S-Master amplifier reproduces digital audio signals without the multiple analog stages required by conventional amplifiers. The result is not just more power, but significantly less distortion from heat build-up. S-Force Pro Front Surround: Enjoy immersive, cinematic audio and virtual surround sound in your room with S-Force Pro Front Surround, a technology that reproduces a virtual surround acoustic field from only two front speakers. S-Force Pro Front Surround provides realistic surround sound from this two-piece home theater system. Unlike other "virtual surround" technologies, rear sound is generated from the soundbar speaker using sophisticated digital sound processing and does not need to be bounced off of side walls. No matter what the size or shape of the room or what is on the wall, it is possible to hear sounds from behind you without needing to place speakers behind you. ClearAudio+: Unique to Sony, ClearAudio+ automatically adjusts sound settings for an enriching listening experience. By bringing together expertise in digital signal processing technologies, ClearAudio+ is able to optimize audio formats to deliver a consistently clear, high-quality sound. DSEE (Digital Sound Enhancement Engine): Digital Sound Enhancement Engine (DSEE) boosts the quality of your compressed music files. When an original music source is compressed, it loses the high-frequency elements that add detail and richness to your favorite tracks. The Digital Sound Enhancement Engine faithfully restores these to produce high-quality sound that's closer to the original recording. Digital Surround Formats: The Sony HT-CT800 supports the following digital audio formats through its HDMI & optical digital inputs. Direct Stream Digital (DSD): Enjoy studio-quality sound thanks to the Direct Stream Digital (DSD) audio codec; designed specifically for High-Resolution Audio. This 1-bit format utilizes a stream of very high frequency 1s and 0s to recreate audio waveforms at a higher resolution than conventional codecs. The result is clearer, crisper, High-Resolution Audio quality. The system supports DSD 2.8 MHz/1-bit audio decoding thru HDMI. Audio Enhancements: This active soundbar & sub speaker system provides a variety of audio adjustments to enhance your listening experience. Speaker Configuration: To obtains the best possible surround sound, set the soundbar speaker and subwoofer distance from your listening position and their output level. Soundfields: You can select from a variety of preset soundfields to optimize your surround sound experience. Choose from Standard, Movie, Music, Game Studio, or Sports. Voice & Night Modes: With Voice mode, you'll be sure to hear every whisper and character nuance of the dialog compared to other sounds in the scene for a dynamic experience. Using Night mode, you can enjoy sound effects and hear the dialog clearly even at a low volume levels. ARC (Audio Return Channel): This feature of the system's HDMI output allows audio to be sent from your compatible HDTV to the HT-CT800 system through the same HDMI cable already being used to send audio and video to your HDTV. This eliminates the need for extra cables connected to your television. Note: Because with some televisions, the ARC-enabled HDMI input will only pass 2ch PCM from devices connected to the TV via HDMI or analog, we recommend that you connect your Blu-ray/DVD player, Satellite/Cable box, or Gaming console to the Sony HT-CT800 directly; and then connect the HT-CT800's ARC-enabled HDMI output to your TV's ARC-enabled HDMI input. This setup will give you with the best overall sound performance. 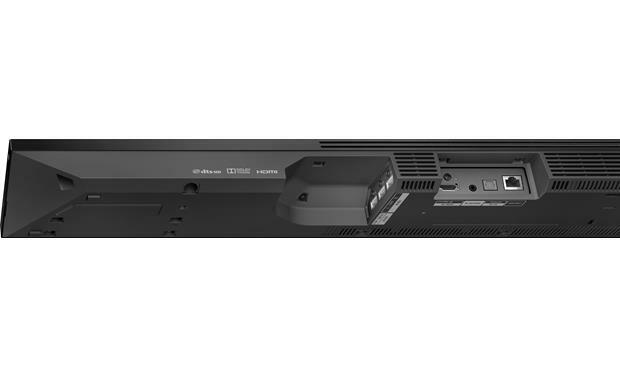 Digital + Analog Audio Inputs: The Sony HT-CT800 soundbar system features both digital (optical) &analog (minijack) audio inputs for connecting external audio sources such as your DVD player and CD player that do not offer HDMI connectivity. There is one optical (toslink) digital audio input and one stereo minijack (3.5mm) analog audio input. The optical digital input supports Dolby Digital, DTS, and 2ch PCM audio signals. 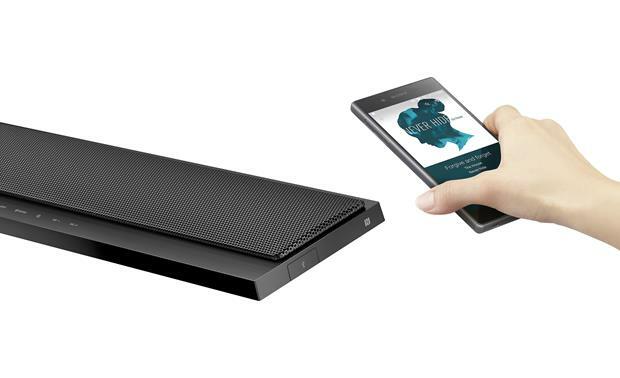 Optional Wireless Surrounds: You can pair two Sony SongPal Link-compatible speakers (sold separately) to the HT-CT800 soundbar to use as wireless rear surrounds. You connect the HT-CT800 to your network via a wired Ethernet connection (not compatible with WiFi). Make sure the HT-CT800 and your compatible wireless Sony speaker have the latest firmware update. HDMI 2.0a: The Sony HT-CT800 features three HDMI 2.0a inputs and one HDMI 2.0a output which support ultra high-definition 4K video pass-through, HDCP 2.2 compatibility, HDR (High Dynamic Range), 4:4:4 color subsampling, & BT.2020 wide color gamut video. 4K Pass-Through: The HT-CT800 lets you maintain 4K quality from source to screen by allowing 4K video to "pass through" and be displayed on a 4K TV or projector, without compromising image quality. Giving you the pure 4K experience makes this soundbar the perfect partner for 4K-capable TVs and Ultra-HD Blu-ray players. 480i, 480p, 720p, 1080i, and 1080p video signal are also supported. HDCP 2.2: HDCP 2.2 is supported by all of the soundbar's HDMI jacks. HDCP 2.2 is short for "High bandwidth Digital Content Protection" and is used for 4K video copyright protection for compatibility with Ultra HD Blu-ray players and 4K Satellite/Cable providers. HDR (High Dynamic Range Video): HDR (High Dynamic Range) reproduces a greater dynamic range of luminosity or brightness levels, bringing greater contrast & wider color spectrum to the screen. This increased contrast reveals the subtle nuances of the image, from detailed blacks and shadows to the brightest whites and colors, plus greater depth. Previously hidden areas of dark shadow and sunlight are now full of clarity and detail. 4:4:4 Color Subsampling: The soundbar's HDMI jacks support RGB, YCbCr 4:4:4 color subsampling for more vibrant and lifelike images, as well as YCbCr 4:2:2 and YCbCr 4:2:0 color subsampling. With 4:4:4, luminance (brightness) and chroma (color) are sampled at the same rate, resulting in an RGB color palette as big as the video sampling rate for a video image with more total colors, plus greater color accuracy and detail. Wide Color Gamut (BT.2020): The BT.2020 color standard delivers a much wider color gamut and represents about 75% of the total visual color spectrum, while the current Rec. 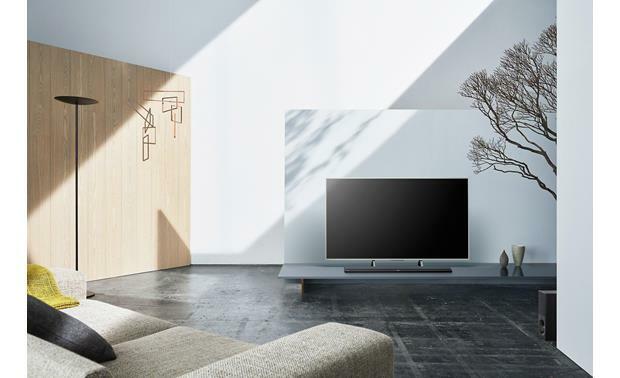 709 color standard selected as the color space for HDTVs and early generation 4K Ultra HDTVs covers only 35% of the total visual color spectrum. Note: Use a premium high-speed 18Gbps HDMI cable for the best 4K/HDR performance. Triluminos Color: The Sony soundbar speaker system utilizes Sony's Triluminos Color technology to create a heightened sense of depth and incredibly true, natural shades of colors. Hard-to-reproduce reds, aqua blues and emerald greens are displayed beautifully, so landscapes and seascapes look more vivid. Faces look better too, with natural skin tones. 3D-Ready: The Sony HT-CT800 is compatible with 3D-ready Blu-ray disc movies, video games and other 3D content through its HDMI connection. 3D viewing requires 3D-ready source with 3D content, 3D-ready HDTV, 3D glasses, and high-speed HDMI cable. Other 3D accessories may also be required. AV Sync: The audio output can be delayed so that the time gap between the audio output and the visual display is minimized. When activated, the delay can be adjusted from 0-300 ms or set to Auto. Wired or Wireless Network Connection: The Sony HT-CT800 features a rear-panel Ethernet (RJ-45) port and built-in WiFi that allow you to connect the system to your home network via a hardwired or wireless connection. By connecting the HT-CT800 to your home network you are able to stream select online music services from Chromecast Built-in and Spotify Connect, plus audio files stored on your DLNA compliant Windows PC or server to the soundbar speaker system. The following system environment is required to use the network function of this speaker system. Broadband Line Connection: A Broadband line connection to the Internet is required in order to listen to select online music services and to use the software update function of the system. Modem: This is the device that is connected to the broadband line to communicate with the Internet. Some of these devices are integrated with the router. Router: Use a router compatible with 100 Mbps or greater transmission speed to enjoy content on your home network. 802.11 a/b/g/n; 2.4/5GHz compatible wireless router for WiFi connection. LAN Cable (CAT5): A LAN cable (CAT5) is required for hardwired connection. Simple-to-Use: Chromecast Built-in allows you to search, browse, play, skip, and turn up the volume directly from the music apps you know and love on your compatible phone, tablet or laptop. While you cast your music, you can still use your phone to answer a phone call, play a game, send a text, and even leave the room, all without interrupting what's playing on the receiver's speaker system or draining your battery. Friends and family can even use their own Chromecast Built-in compatible phone or tablet to cast music to your system by connecting to your home's WiFi network. Google Home: Multiple Chromecast Built-in speakers can be added to the same WiFi network to form a multiroom audio system using the Google Home app. Using the Google Home app for Apple iOS 8.0+ and Android OS 4.0.3+, you can sync multiple speakers with Chromecast Built-in in multiple rooms of your home to play the same song throughout your house at the same time. Only Chromecast Built-in compatible music apps are supported. Voice Control (Optional): Purchase the Google Home Wireless Speaker (8064658762, sold separately) and gain voice control of compatible Chromecast Built-in music apps. You'll be able to access a specific music app and then select a specific station or song using only your voice. You'll also have voice control over Play, Pause, Skip, & Volume. The Sony HT-CT800 & the Google Home Speaker must be connected to the same wireless (WiFi) network. Spotify Connect: The integration of Spotify Connect will enable Spotify Premium users to instantly see, select and stream to the Sony HT-CT800 soundbar speaker from within the Spotify app (Apple iOS or Android). Spotify is a digital music service that gives you on-demand access to one of the largest music libraries in the world (over 15 million tracks and counting). Spotify makes it easier than ever to discover, manage, and share music with your friends. You can browse music by artist, album, track, or most popular; and create your own music library with customized playlists. 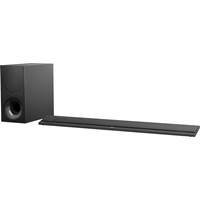 SongPal Link Multiroom Audio: The Sony HT-CT800 soundbar & sub speaker system supports Sony's SongPal Link multiroom audio feature. With SongPal Link, a feature of Sony's SongPal app for Apple iOS & Android, you can link multiple Sony SongPal Link compatible devices (sold separately) together to create zones, allowing you to stream the same music source or different music sources to all your SongPal Link compatible speakers or groups of speakers. Compatible sources include the soundbar speaker's HDMI, Optical, and Analog inputs, DLNA computers and servers, plus select online music services within SongPal. Note: For the best multiroom experience, Sony recommends configuring your wireless band router to a 5Ghz wireless band. Software Update: By downloading the latest version of software from Sony, you can take advantage of the newest functions. The system accesses the Sony server to update the software through its network connection. Visit the Sony eSupport website for the latest software updates. 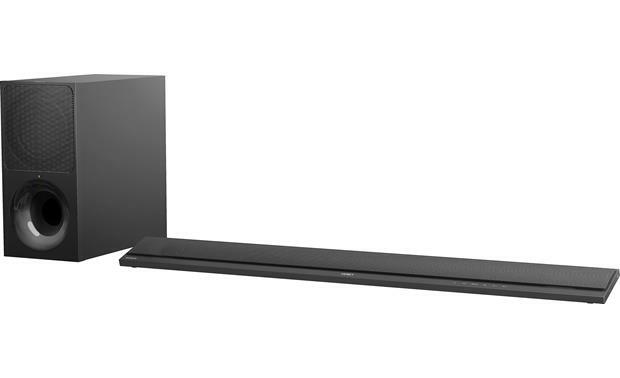 Built-in Bluetooth: The Sony HT-CT800 soundbar speaker system features built-in Bluetooth (version 4.1) with support of A2DP 1.2 and AVRCP 1.5 for wireless audio streaming and control. The system can act as a Bluetooth receiver in order to wirelessly stream music from an audio device, or a Bluetooth transmitter in order to wirelessly stream music to a set of Bluetooth-enabled headphones. Receiver Mode (w/LDAC): You'll be able to wirelessly stream stored music and music apps from your Bluetooth source device to the Sony soundbar system. You'll also be able to control basic playback functions (Play/Pause, FF/RW, Skip) using the system's remote control. Song/artist information is displayed on the system's on-screen menu (via HDMI). In addition to support for Bluetooth standard SBC codec and Apple's AAC codec, the system also supports Sony's newest LDAC codec. LDAC is a new audio technology from Sony that allows you to enjoy high quality wireless audio via Bluetooth. With 3x the data transmitted (compared to regular Bluetooth), LDAC provides an enhanced wireless listening experience for all your music. Transmitter Mode: In Transmitter mode, you can enjoy listening to audio from the soundbar speaker system's DLNA content, online music services from Chromecast Built-in and SongPal, as well as connected sources through a set of Bluetooth headphones. The soundbar speaker system is muted when transmitting audio wirelessly over Bluetooth to a set of headphones. Note: The HT-CT800 pairs wirelessly and effortlessly with Bluetooth-enabled devices and headphones (up to 9) with a single press of a button. Android (OS 4.0+) smartphones that have Near Field Communication (NFC) pair simply by touching the Android device's NFC tag to the soundbar's NFC tag. For older Android (OS 2.3.3+)smartphones, you'll need to download the NFC Easy Connect app from Google Play to use the head unit's NFC pairing function. Once paired, the speaker will automatically re-connect to your device or headphone when within range (up to 33'). SongPal Remote App: Download Sony's free SongPal remote app onto your Apple iOS 9.0+ or Android OS 4.4+ device to control the HT-CT800 system from your mobile device via WiFi or Bluetooth. From the SongPal remote app, you can select input sources, switch to other entertainment apps, and customize sound settings of the soundbar speaker system. In addition, you can access stored music and other apps on your smartphone using the SongPal remote app. You'll also be able to browse music stored on an inserted USB mass storage class device from the SongPal remote app on your compatible smartphone. The SongPal app will display song/artist information and album art. IR Remote: The HT-CT800 comes supplied with a full-function IR remote control for wireless operation of the system and HDMI-CEC devices. One-Touch-Play: When you playback a component such as a DVD/Blu-ray Disc Player, the soundbar system and the TV are turned on automatically and switch to the appropriate HDMI input. System Audio Control: While watching TV, you can select to output the sound from the TV speaker or the soundbar. System Power Off: When you turn off the TV, the soundbar system and connected components are also turned off simultaneously. On-Screen Display: The HT-CT800 provides an on-screen display through its HDMI output for setup, operation, and song/artist/album information (no album art). Auto Standby: The soundbar speaker system entering standby mode automatically when you do no operate the system for approximately 20 minutes and the system is not receiving an input signal. 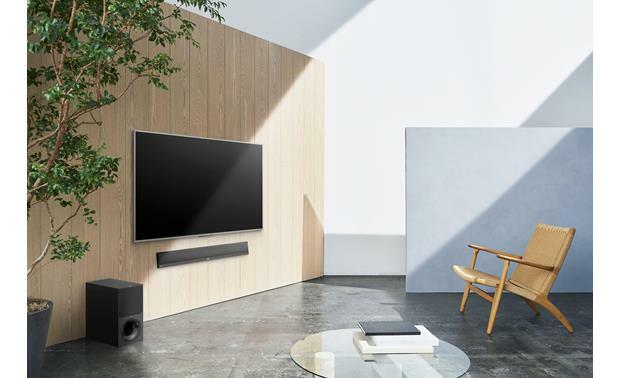 Soundbar Mounting Options: The ultra-slim soundbar speaker is designed to fit in front of the TV without blocking the screen or interfering with IR receivers. Its sleek profile also lends itself well to wall mounting options. The soundbar speaker can be securely placed on a stand or shelf, or even wall mounted using the included brackets and their rear-mounted keyhole slots (mounting screws sold separately). Wireless Subwoofer Placement: The wireless powered sub can be placed virtually anywhere in your room; up to 32.8' from the soundbar speaker. There are no extra audio cables to run; you do have to plug the powered sub into an AC outlet. Power Requirements: The active soundbar speaker and wireless powered sub will both need to be plugged into an AC wall outlet, surge protector, or power conditioner. They are each fitted with an attached 5.5' AC power cord.